When I was in my 20s, I moved into an apartment. Little did I know that the landlord hadn’t turned on the electricity yet, so I had 3 days of cooking without power. Luckily, I had a grill so my roommates and I had fun grilling out in our tiny yard. Did I mention that it was winter and we were grilling in our parkas and boots? If the grid were to go out, I don’t imagine myself using this as my emergency cooking method! First off, I’m not in my 20s anymore, so I doubt I’d find it fun to grill out in two feet of snow. 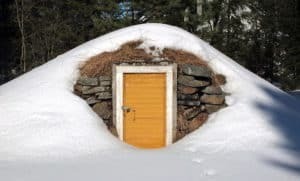 I definitely also wouldn’t like the cold air which gets blasted through the house each time the door gets opened (the grid’s out, so the heating is out too). So, how would I handle the problem of cooking without power today? How would I handle it if I lived in an apartment without a yard? 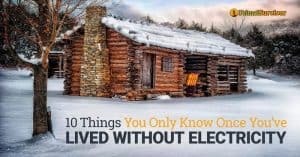 These are things that all preppers should be thinking about. Because cooking without power is a lot different if you can’t just go outside and light a big fire. This is the most obvious solution. If you want this to be your emergency cooking method, then choose a BBQ which is coal powered and not gas powered! This is the simplest solution. You can just set a BBQ grill plate over the open fire and cook. If you don’t have a grill, then things get a bit more complicated. You will have to put two or three branches (about 2in thick) over the fire and set your pan/pot on top of these. As the branches start to burn away, you will have to slip a new branch in their place. Good luck not spilling the food while you do this! Or you can create an A-frame out of branches and suspend a soup pot from it. 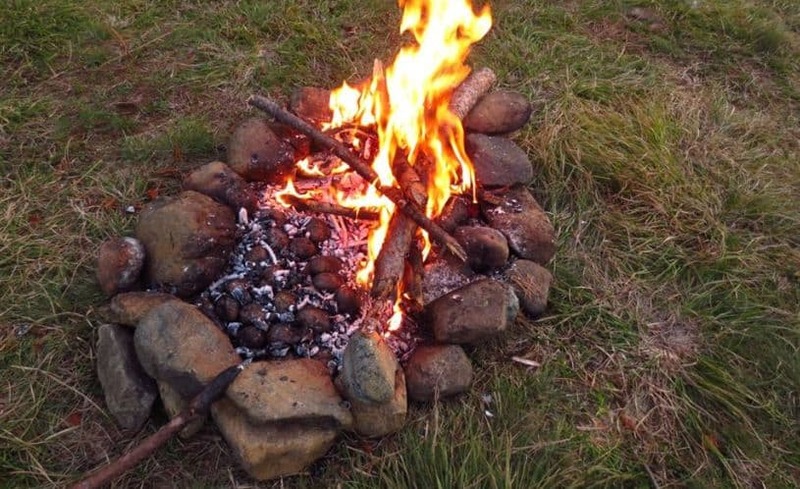 Another option for cooking over an open fire is to use a big rock. Just prop a wide, flat rock over the fire. It will get hot and you can put your pot or pan right on it. Make a fire and get some serious embers going on. Then let the fire burn out (or keep the fire to one side of your pit only). Put some food on the embers. Go ahead and bury it in the embers. The embers will cook the food. Since the outside of the food is going to get covered with ash, this method is best for foods like corn on the cob and potatoes. But you can cook almost anything like this if you put it in tinfoil first. I don’t mean a solar-powered cooker. I mean that you can literally cook your food in the sun. Here are instructions on how to make your own solar cooker. 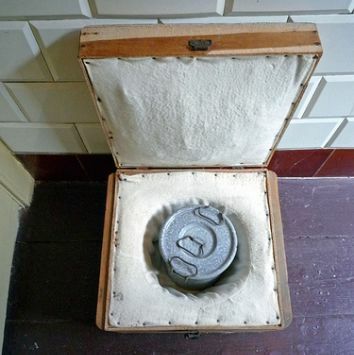 Dutch ovens are big, heavy cooking pots made from cast iron. You set them right on top of the fire and/or cover them up with coals. These are especially great for making stews. In simple terms, an earth oven is just a pit with a fire built inside of it. But there are a lot of different ways to make an earth oven. Native Americans used a cool method where they’d dig a pit, put hot stones at the bottom and then cover it with branches. On top of this would go the meat and veggies. It would be covered by something moist, which would create steam. Then would come a layer of soil to retain the heat. A reflector oven is a box with metal inside of it. There is a shelf in the middle for supporting the food. It works by using radiant energy from a camp fire to bake food inside of it. You will need to make a big fire to bake in a reflector oven, and the heat source will need to be consistent. The US Scouting Service site has a good article on how to bake with a reflector oven. 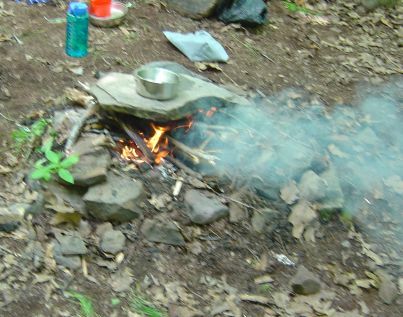 A very basic and simple stove made from tin cans and fueled by sticks, twigs etc. 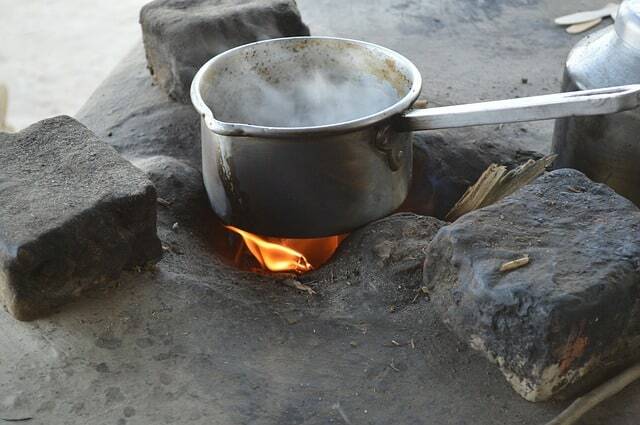 Whist not the most efficient cooker this design can be made from supplies that most people have to hand. 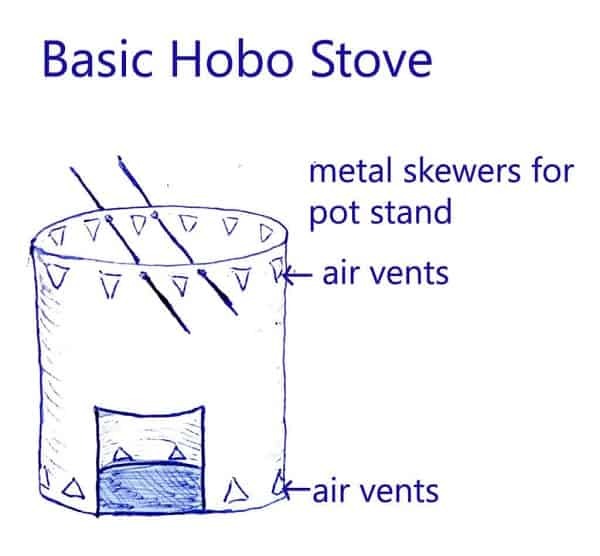 The basic design can also be modified, see this post for more hobo stove plans. There are all sorts of camping stoves which can be used indoors safely. If you live in an apartment and are serious about prepping for emergency situations, I’d recommend getting a good camp stove suitable for the indoors and stocking up on fuel. 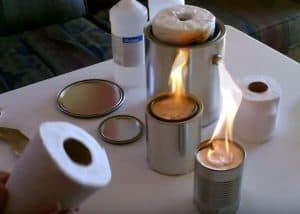 Please read this article about how to use a camping stove indoors before you try to cook with one indoors and burn your home down! 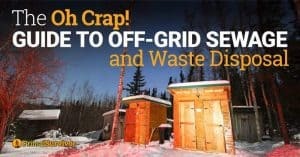 Got solar power? Then set up your stove/oven to work on solar. Or you can get a special solar oven, but I guess you’d have to jerry rig it out of your window in order to get enough sunlight. This one I learned while hiking with a former Israeli Special Forces guy. Apparently, the Israeli army gets fed a lot of canned tuna. Here is how it works. Open a can of tuna in oil. It would work with something else oily too. Take 3 pieces of toilet paper and place them over the tuna. They will absorb the oil. The toilet paper should create an air-tight seal around the lid of the can. Set the toilet paper on fire. It will burn for a LONG time (up to 25 minutes)! Not only does it cook the tuna, but you can put something over the flame to cook it too. Remove the toilet paper and enjoy your tuna. This also works as a great emergency light source and emergency heat source! A hay box oven uses thermal power to cook your food. It is a lot like a Crock pot. The only big problem is that you’ve got to get the food hot before you put it in. If you have limited fuel, this might be a smart option. To make a hay box oven, you get a big sturdy box. You can even use a cardboard box lined with aluminum foil, but a wood box will be better for retaining the heat. An old cooler also works great. Then you put your food in a big pot and boil/bake the entire thing (it is important that the pot is hot). Line the bottom of the box with hay, then put in your pot. Surround the pot with more hay. Now close it up. You can also use other linings, such as sweaters or blankets. Cover the hay box with a lid. Come back about 8-12 hours later and you’ve got yourself a meal. Works great for stews. You can find instructions here. More properly known as the Home Emergency Radiant Cooking oven, a tea light oven works on (you guessed it!) tea lights. You can buy one, or you can easily build one yourself out of an old toaster oven. Here are instructions. 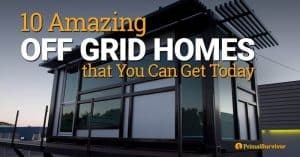 How do you plan on cooking when the grid goes down? Get the conversation going in the comments area below! When you already have everything in place it makes it sooo much easier to deal with problems. Thanks Nola, running practice drills is essential. Sounds like you’ve got this covered. I bought a single hot plate that runs on butane and/or small bottle s of propane. I live in apartment and have experienced loss of power a few times. Works great. Look on amazon, read reviews before purchasing. We frequently practice cooking without power or gas (we use a gas stove). My children know how to cook over open fire and we frequently use a very simple grill, as well. I bang on about it a lot but practice and drills are essential and often overlooked.